This entry was posted in Biodiversity, Climate Change, Energy efficiency, energy security, Food security and tagged Barack Obama, Environmental Encyclical, Ethics, Fr. Artur Demkowicz, Global North, Global South, Green Pope, Jesuit, John Paul II, North-South Divide, Paris Climate Conference, pollution, Pope Francis, SDG's, Sustainable Development Goals, Vatican by adamkoniuszewski. Bookmark the permalink. My very emotional thanks for this most important news! 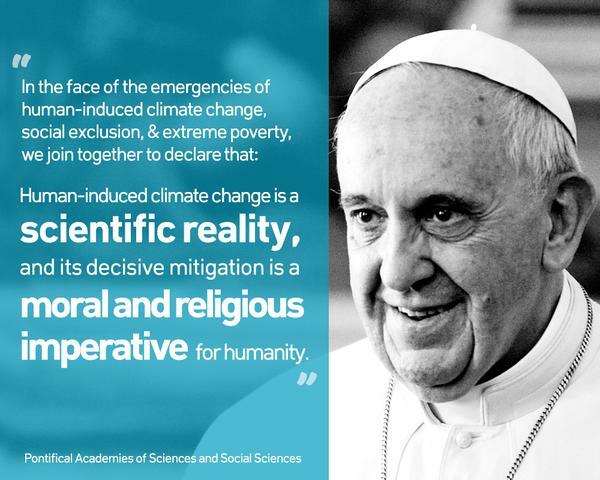 I do not why, but so far I haven’t heard here anything about the forthcoming environmental encyclical of Pope Francis. All the best!